The newly constructed 8,000 sqft Meeting and Event Center boasts several rooms for private rentals. A full catering kitchen with separate serving room, busing area and ice maker allow caterers ample space to execute a flawless event. Portable bars are available to position where best suited. 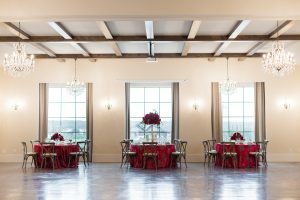 The Ballroom known as La Vista for its beautiful views of the vineyard is the largest of the rental spaces holding 150-200 people seated including adjacent covered-patio dining and courtyard with fountain. Built in audio speakers exist in all rooms and patios and a projector with 110 screen is available for use. A large Smart TV may also be rented. Beautifully appointed with chandeliers and sconces, heavy wood beams, stained concrete floors, La Vista provides an upscale yet neutral backdrop for weddings and corporate events alike. 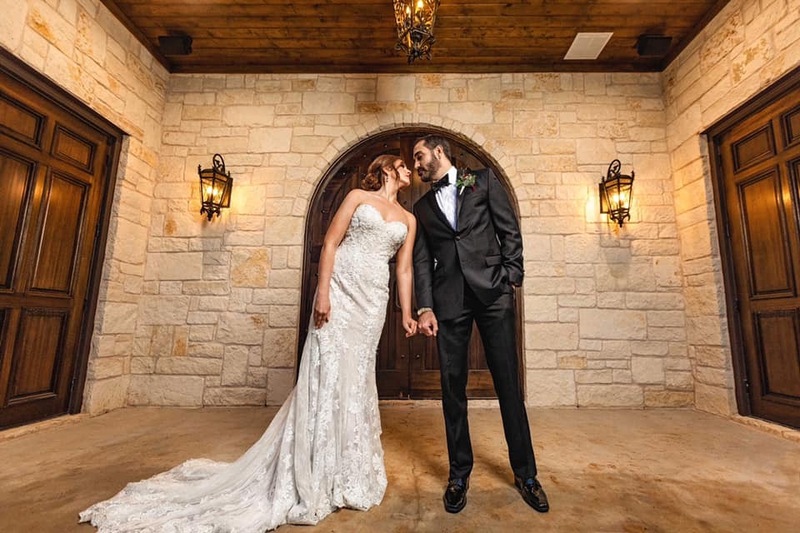 The Bride and Groom Suites are included in this rental and allow for an elegant private space both before and during the event. A Men and Women’s Restroom is dedicated to this space accommodating four guests each. The tasting room and it’s balcony, La Terrazza, allow for an al fresco private event. The uplit tasting bar is modern yet a juxtaposition against the traditional wood bar, tables and seating. Soft outdoor lighting and gentle breezes punctuate this space. The terrace can accommodate approximately 50 people for a cocktail style event with the tasting room comfortably accommodating an additional 25. A single Men’s and Women’s restroom is dedicated to this space. Our premium event space, this location can seat approximately 40-60 people depending on the style of event. A dedicated single Men’s and Women’s Restroom is included. An enclosed and temperature controlled glass doored barrel room provide an authentic backdrop for your event. Highlighted by beautiful chandeliers and sconces, this space transforms a wine cellar to an elegant affair! Perfect for executive retreats/tastings and that special occasion. An exclusive firepit exists just outside the main entry for a breath of fresh air or to enjoy a nice cigar or two. 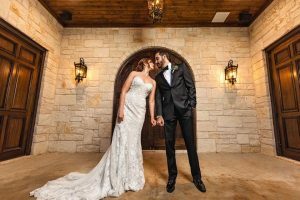 Designed with outdoor ceremonies in mind, this cedar structure set against the backdrop of mature vines, it provides a beautiful scene for nuptials. Outdoor white seating is provided with sails for shade from the Texas sun. This spot is included with the Vista rentals. Reservations may be taken for small group wine tastings with lite bites inside our production facility. For an authentic experience inside the “brains” of a winery, a group tasting reservation complete with barrel tastings is a unique experience. Please send an inquiry with your group size, date and preferred time and we will create a custom quote!